Big data is an expansive umbrella with startups of all stripes squatting under it. Even as the most successful and powerful data miners of the modern web are undoubtedly the dominant consumer platforms — Google, Facebook, Apple and Amazon in the West, and China’s WeChat in Asia — whose vast digital empires yield them both quantity and quality of data to use as they please. Yet these tech giants aren’t generally in the business of sharing their data holdings to help others — unless you want to pay them to target digital advertising on your behalf. Which is where Atomico-backed startup Teralytics spies its own big data opportunity. It’s built a platform selling analytics services to customers such as government agencies and transport companies that want to understand complex problems relating to human mobility — so analyzing things like transport pressure points, or considering the optimum location for a new road, or even monitoring urban air quality without the need to deploy CO2 sensors. The European startup has been building its analytics platform for around four years at this stage, working in semi stealth up to now to put its core tech in place, while also delivering projects with early partners and customers, such as the air quality monitoring example cited above. The original idea for the business was spun out of ETH Zurich university, sparked by a conversation one of the co-founders had with a local telco which was looking for help analyzing commuter data on behalf of the government. Co-founder Georg Polzer says he and his co-founders ended up sleeping in the company’s data center as they worked to write code to come up with the answer to the problem — though he notes he’s past the point of personally pulling coding all-nighters himself now. Teraltyics has raised around $44 million to date, telling TechCrunch it’s taken investment up to a Series C level, and amassing a team of 65 people working out of headquarters in Zurich and offices in New York and Singapore. 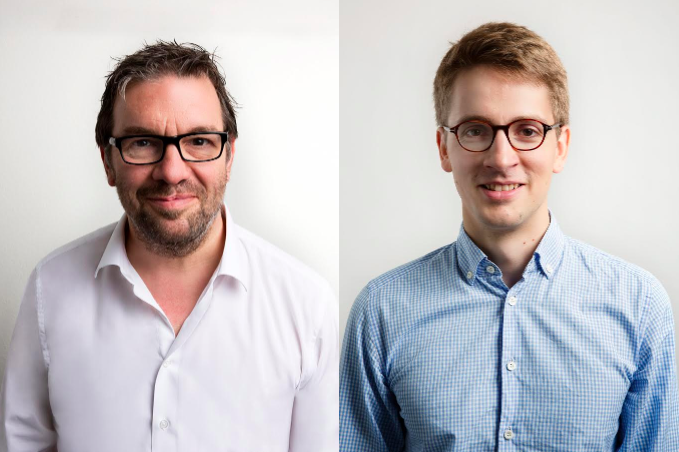 Along with Niklas Zennström’s Atomico fund, investors include Swiss VC firm Lakestar and Hong Kong-based Horizons Ventures. Its current go-to-market proposition is focused on analyzing human mobility and behavior to meet the changing needs of urban planners and transport providers — sitting under another techie umbrella: smart cities. “Big cases that we’ve either worked on or are working on include things like how can a large transit network operator minimize the amount of money they spend on operating it whilst at the same time providing a better service to citizens,” says incoming CEO Alastair MacLeod, who brings a background in telcos to help with the startup’s next steps ramping up commercialization of its platform. “We also work with long distance operators on what should their capital plans look like for the next ten years. Polzer points to disruption already happening in the transport space as ride-hailing providers like Uber push into cities and station-free bike sharing startups like Ofo proliferate. While also noting larger changes looming — such as electric and autonomous cars — which promise to even more radically reshaping urban infrastructure in the coming years. Cities will need powerful analytics tools to understand and response to these changes, he argues. Every single mayor I talk to says can you please help me understand the effect of Uber and Lyft on my city. So — to the really big question — where is Teralytics sourcing the data that powers its platform? How is it able to track city dwellers’ movements in such detail and link them to highly specific behaviors? In the first instance it’s partnering with telcos whose mobile subscriber bases offer a large, rich, reliable and representative source of population data to be mined for insights, says Polzer, while also looking at bolting on additional data sources as it moves forward (integrating wi-fi network data is something it’s currently working on, for example). But the really big data crutch here is definitely telcos — who, after tech’s platform giants, hold some of the richest and most detailed data around. Even as they also typically have more stringent regulatory strictures (vs Internet businesses) on what they can do with customers’ sensitive personal data. And with very good reason — given they provide access to connectivity, not just individual apps and services, affording them a highly intimate overview of their users’ lives. “The great thing about operator data is that usually in the market there are three to four operators, which always have at least 10 to 15 per cent marketshare. And if you look at other data sources, there’s just no other data sources with that breadth across the population,” says Polzer, discussing the advantage of attaching a big data business to carriers’ heavily loaded pipes. He also talks up the resilience of relying on telcos for the core data-set — given that major network operators are not likely to vanish overnight. Whereas data plays that rely on an app source, for example, might be more vulnerable to passing fads taking them out of business and cutting off the flow of behavioral intel. Plus he argues that the national constraints of operators help bolster Teralytics against shifts in individual partners’ business decisions — by positioning the business to have additional potential data providers standing by as the nature of the telecoms market necessitates it working with “many operators across different markets”. It uses machine learning algorithms to extrapolate insights from its carrier partners’ data-sets — with key data boiling down to location information based on cell tower pings (and wi-fi data incoming), combined with clickstream data from mobile devices, which mean it can derive more granular insights by triangulating which app/website is being used at a given location/velocity — so for example, Teralytics’ platform could identify not just that a group of people are traveling around a city in cars but that they’re traveling in ride-share vehicles. “A lot of the reasons why operators work with us is because we exactly have developed an ability to, we call it, extrapolate — so from one sub-set of the population we extrapolate out to the whole population,” he adds. “You don’t necessarily know this individual person did that individual thing, but when you’re talking about it in terms of groups — which we do anyway for privacy reasons — you can infer patterns of behavior around how many did this sort of thing, or how many took a ride-share, which we may or may not identify by an individual brand, vs how many took some other mode of transport. But it all effectively comes from different types of data being overlaid in a fairly sophisticated machine learning engine,” says MacLeod. Balancing privacy concerns is clearly going to be a critical consideration for the success of the venture — which needs telcos to buy in to pump in the big data fuel, and therefore also needs their customers be comfortable with the idea that their personal data — i.e. information about where they go and what they do online — might be being shared with, for example, government agencies. So even if you start from the premise of carrier data being anonymized, as Teralytics says is the case here, a system could be built that tracks an unnamed user’s location and displays a trace from a street address to a commercial address and back again twice a day, for example, and the person looking at that data might easily infer they’re seeing a person’s home and workplace — and then it’s potentially very easy to re-identify that individual. However, Teralytics claims no such re-identification risks are attached to its system because of how it’s baked privacy considerations into the design. Polzer says it’s using a variety of proprietary techniques to handle the data in a way that preserves user privacy — although he won’t go into too much detail, claiming commercial sensitivity. But says the system has passed muster with strict German data protection watchdogs, and expresses confidence it’s robust enough for any data protection regime. One key aspect is that as well as anonymizing the data they also claim they are never linking data traces to individual identities — rather they only provide analyses based on aggregation of groups’ movements and habits. They also perform analysis of the data on site, behind carriers’ firewalls, to reduce potential security risks — so they’re not lifting subscriber data elsewhere for processing. “We are already fully compliant with GDPR,” says MacLeod, referencing the incoming European Union data protection regulation that’s bringing in new privacy requirements for companies handling EU citizens’ personal data, as well as ramping up penalties for privacy violations. “As an extra measure in Germany we are rehashing every 24 hours. But of course you still want to do long term profiles so we have developed a technique to actually still do that and be compliant and getting approval by the Germany privacy regulator for that,” adds Polzer. In the case of Telefonica Germany, one partner Teralytics will name, Polzer says the carrier is providing an opt-out for users who do not want even anonymized details about how and where they travel and which apps and mobile websites they’re looking at, to be used for third party analytics. Though clearly not every carrier it works with might decide to offer the same choice to its subscribers. “We build the same privacy standard into the solutions we build, regardless of what the law does or doesn’t require in that country,” adds MacLeod. Doing advertising in an opt-out way — we don’t think that’s really sustainable in the long term. Zooming out, to consider the telcos themselves, why do they need Teralytics? MacLeod demurs on this question, saying its partners don’t “need” it — given they do have their own in-house analytics teams — but rather the sales pitch is around strategic focus; with telcos being most concerned about optimizing their own business processes, whereas Teralytics can offer itself as the “young, fast, flexible” startup partner which can be out in the market selling services to third parties to make more of carriers’ data holdings, as well as also supporting them to drive more of their own core revenue if they wish. The basic business model is a revenue share with carrier partners on any third party analytics deals Teralytics (or the two combined) are able to cut — though MacLeod won’t go into specifics, beyond billing the proposition as a “low cost, low risk, easy way into big data analytics” for telcos to eke more value out of their data holdings. Polzer also points to the market constraints of telcos as a helper here — noting this characteristic means they’re not well-positioned to recoup the kind of investment needed to build a comparable machine learning analytics platform. Whereas Teralytics can invest because it can play and (it hopes) scale across multiple markets. Of course one market that some telcos are demonstrably very keen on expanding into, based on how much they can infer about their customers, is digital advertising. So is helping carriers enhance their ability to target ads at their users something that Teralytics wants to do too? “And in most of the territories we operate in it’s not allowed anyway, so it’s relatively straightforward,” adds MacLeod. “Doing advertising in an opt-out way — we don’t think that’s really sustainable in the long term,” continues Polzer, when I press on how interested telcos are in growing digital advertising businesses, going on to suggest that the point at which Teralytics might apply its platform to a digital advertising use-case would be “if telco operators are able to build a meaningful opt-in base” (i.e. for individually targeted marketing). Whatever the outcome of that particular carrier conversation, right now, the business goal for the team at this stage of business development — several years in, with multi millions raised and what it’s pitching as a solid platform under its feet to get carriers to jump on board — is accelerating commercialization. The plan is to dial up sales and customer acquisition by building out the commercial team and putting its energy into front office ops for the coming year. Aka “it’s time to really ramp this thing,” as MacLeod puts it. The underlying question for Teralytics’ big data play is what will mobile users say? Will they feel comfortable if their carrier decides to track and analyze their personal data for commercial gain? Providing a stable and reliably affirmative answer there may prove to be this startup’s biggest challenge.